Maureen Forman teaches drawing. Forman received her MFA in painting from Indiana University and BFA from the Maryland Institute College of Art. 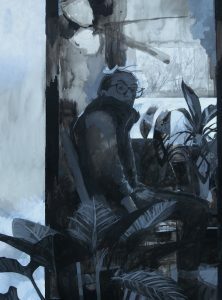 Currently her work focuses on the languid figure, and his/her inability to cope with a frenetic and superficial world. She was recently included in Drawing from Perception VIII at Wright State University where she received the Juror’s Award. 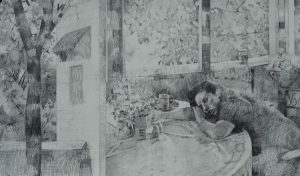 She has appeared in Manifest Gallery’s International Drawing Exhibition in Print (INDA 11). She also teaches studio and art history courses at Samford University in Birmingham, Ala., and Shelton State Community College, and has taught at Ivy Tech Community College and Indiana University in Bloomington, and the Herron College of Art and Design in Indianapolis, Ind.